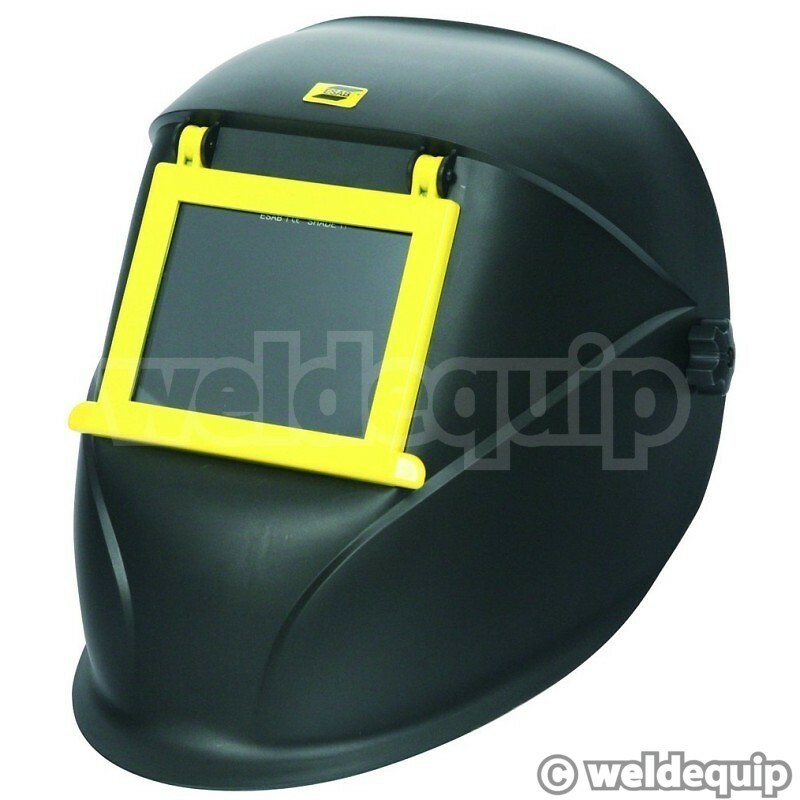 The ESAB Eco-Arc has a light weight Poly Propylene shell offering outstanding facial protection and is suitable for all positional welding. With a 110 x 90mm flip-front passive filter lens the Eco-Arc features a large internal clear protection lens, so can also be used for grinding. The headgear has 4 rake positions and 3 longitudinal adjustments for precise ‘nose to shell’ fit. Supplied complete with outer protection lens, shade 11 mineral glass and the unique large internal clear protection plate.